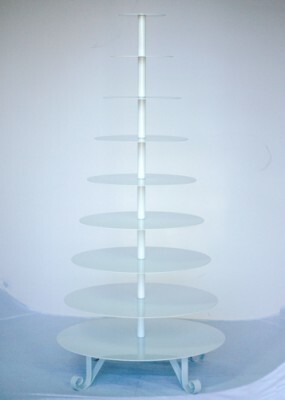 Picture includes the 5 tier cupcake stand combined with this extention piece. Rental rate is $67.50 for both the extension piece plus the 5 tier stand. * Please call us for any questions on our 4 tier extension round cupcake stand w in Tyler, serving Longview, Palestine, Athens, White Oak, Shreveport LA in East Texas and Western Louisiana.